Dayzad Law Gives Thanks to Our Wonderful Clients! Posted on November 21, 2018 by Navid Dayzad, Esq. We are so grateful to be able to work with such great companies and individuals everyday. Even when times get tough, it is our clients that help us push through. During the holiday season it is important to reflect on what we have, but also on what we continue to fight for. 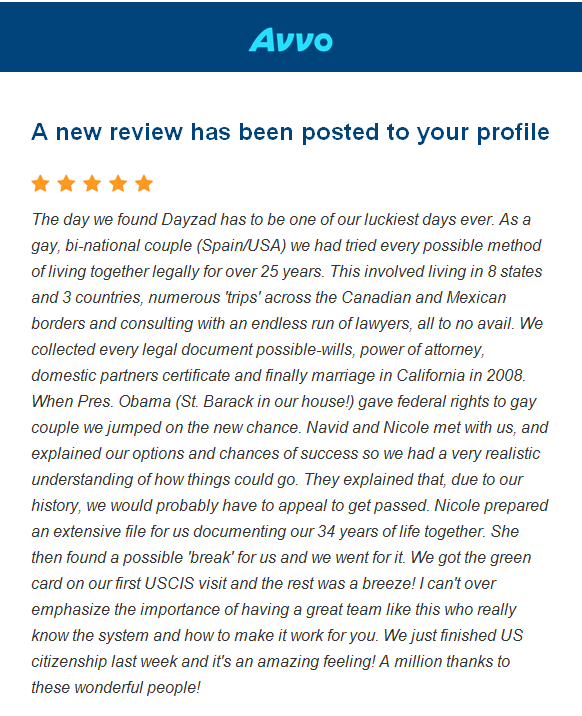 It is clients like those below that remind us what is important and how in our practice we have the opportunity to bring communities, families, and workplaces together. We are thankful for your continued support and look forward to future success in the year to come.